Costa Rica Las Lajas coffee arrived at the Starbucks Reserve Roastery and Tasting Room on November 29, 2016. This is Starbucks' first "honey-processed" Reserve coffee. This processing refers to how the coffee is actually processed on the farm. 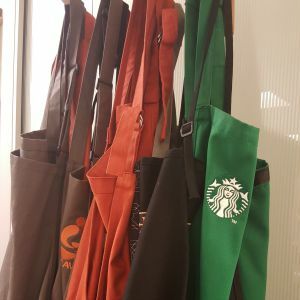 In the world of Starbucks (and more generally in the world of coffee) people often talk about a coffee being "fully washed" or "semi washed" (like a coffee from Sumatra) or "natural processed," as is often the case in Ethiopia. Sometimes the mucilage surrounding it called the 'honey.' This comes from the fact that the mucilage is sticky like honey. In the world of coffee processing, when people talk about "natural" processed coffee, they generally mean some kind of processing where the entire coffee cherry is laid out on tarps in the sunshine to dry. After significant trying in the sun, the coffee cherry is removed from the bean. Washed processing uses a lot of water and motion to bathe the coffee cherries in water baths, to remove all the out layers from the coffee beans, leaving a very clean "washed" beans. I've over simplified this a bit, but that is the basic idea for "washed" and "natural" processed coffees. All of these coffee processing methods change and effect the way the final coffee tastes. A true "semi-washed" coffee is like how coffee is processed in Sumatra. Coffee is picked from trees, and then the farmers place the cherries in depulpers. These are often old, hand-cranked machines that remove some of the outer fleshy part of the coffee, some mucilage and parchment, but what is left is a very haphazard amount of stuff still on the coffee bean. After going through a hand-cranked depulper, the bean really isn't clean. It may still have some mucilage and parchment, and it's still pretty sticky from the mucilage. The farmers usually will dunk the coffee beans in some big vats of water, hoping to remove some of the stickiness. Honey-processed is the big thing in Costa Rican farms. The farmers in a very intentional way, purposefully clean the beans until there is just a certain amount of mucilage left on them, whether that's 40% or 80% mucilage left on the bean. Contrast this to "natural" processed coffee where the entire cherry dries in the sun, or semi-washed where a haphazard amount of mucilage may get left on the bean, though it almost all gone. Also in semi-washed, after the coffee goes through the depulper, it goes it to water for further cleaning the bean. In honey-processed coffee, at the right stage, whether 40% mucilage or 60% mucilage, the coffee is then dried for two or three weeks. The result is a juicy, sweet cup of coffee from the effect of the drying with a planned-amount of mucilage left on the bean. Honey-processed coffees tend to be flavorful, rich, sweet, smooth coffees. The longer the mucilage is left on the coffee bean, the sweeter the cup. The whole process is calculated and meticulous to make sure the coffee is not spoiled by rotting mucilage, which is a risk with this process method. This coffee is described as having a brown sugar sweetness and grapefruit notes. It's smooth and delicious. (I drank a cup made via a traditional French press, as I wrote this article). This coffee is a treat. 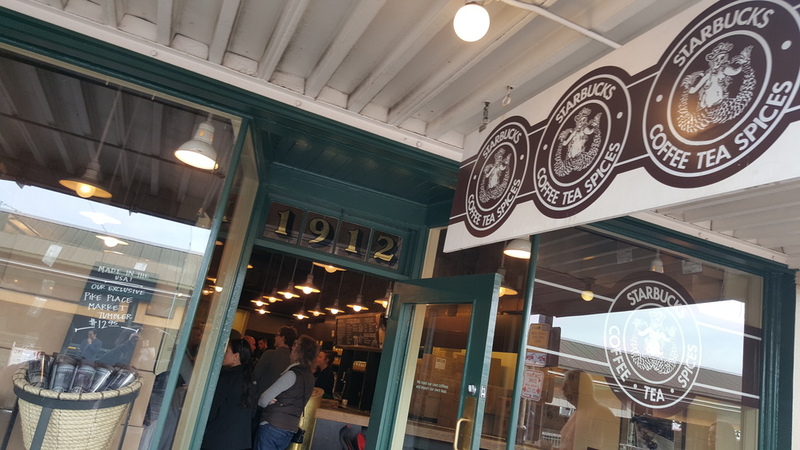 This Seattle Coffee Work's blog post features more detail on coffee processing and has a photo comparing the processed, unroasted coffee. Their photo is from the same farm that Starbucks just sourced this coffee - lo and behold, Seattle Coffee Works used a Las Lajas farm photo. The funny thing is that other coffee roasters have been talking about honey-processed coffees for a while. A couple of months ago, I was chatting with a buyer who works for Distant Lands Coffee, and she was telling me about honey-processed coffee. 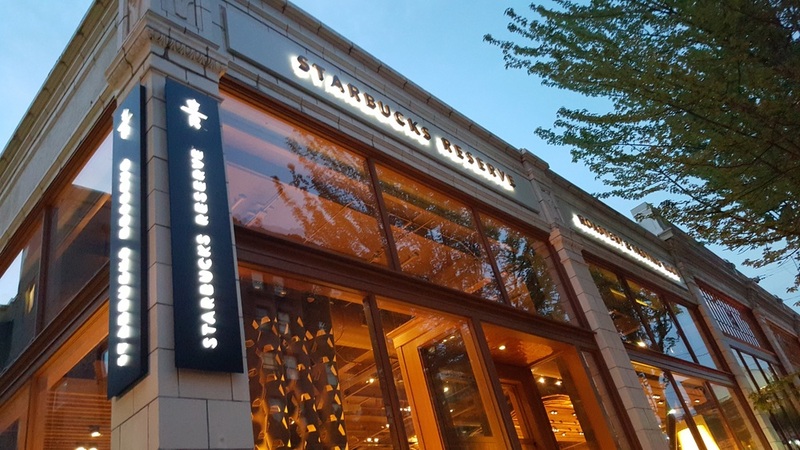 I wondered, 'When will we see a Starbucks honey-processed coffee?' Coincidentally, two months later, it appeared at the Roastery. This coffee is available now at the Roastery. 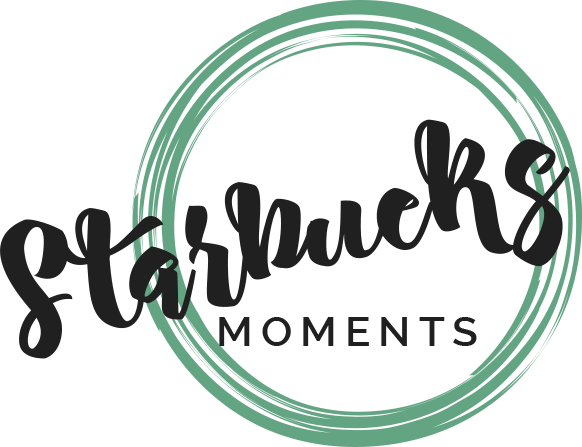 It will be in Reserve Starbucks locations everywhere in Canada and the United States on January 10, 2017. Look for it online at StarbucksStore.com in January 2017. 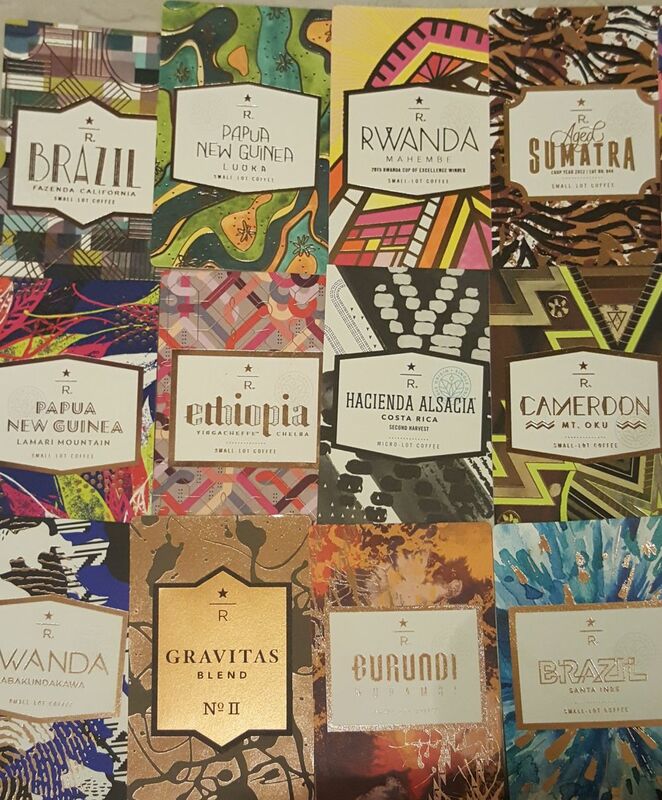 This Reserve tasting card was designed by former Starbucks artist/designer Marisol Ortega. The inspiration for the artwork was a color ombré from golden, amber, to black, a little like how cacao beans are roasted. Even the type face for the words Black Honey Costa Rica Las Lajas is unique to this card, and designed by Ms. Ortega. The gold foil overlay elements (look just above and below the wording area of the card) represent sliced grapefruit for its flavor notes found in this coffee. When this coffee lands in a Reserve store near you, be sure to pick up a bag and try it! This is a really great Reserve offering, and something new and unique for a Starbucks Reserve.